Divorce effects people deeply and emotionally as it brings to a close a relationship that was once loving in nature. This is not a time to be making a decision without examining all the legal ramifications that effect you. Having an experienced divorce attorney on your side can be the determining factor in the outcome of your divorce. Divorce proceedings impact many important facets of life including parenting, custody, finances and the distribution of treasured assets. Be sure you’re being represented by a Rhode Island Divorce Lawyer who acts on behalf of your best interest. Elisha L. Morris and the team of lawyers at The Law Office of John E. MacDonald have the experience necessary to help you terminate your marriage in way that makes the best legal sense. Divorce Mediation offers an alternative method of terminating a marriage where traditional litigation isn’t appropriate. The basis for mediation is commonly misunderstood or misinterpreted. Divorce Mediation aids couples in pertinent decisions among themselves without the process of lengthy and expensive court battles.This method serves a much more cost effective route in the dissolution of a marriage. Divorce mediation gives couples the authority to shape their lives and develop solutions for difficult decisions peaceably. Rhode Island Divorce Lawyer Elisha Morris has successfully mediated or arbitrated many divorces for clients with different types of family legal matters including custody, visitation, support, alimony, settlements and asset division. Rhode Island has made tremendous efforts to battle the epidemic of domestic violence. The police may now ascertain the necessity of arresting a party for suspected domestic assault, spousal abuse, or domestic violence of any kind. Mistakes will be made and you may find yourself arrested or charged unfairly. Having a qualified Rhode Island Domestic Violence Attorney to represent you is vital in these situations. Rhode Island Divorce Lawyer Morris understands the urgency in domestic violence cases and ensures swift action under these circumstances. She guides her clients through the necessary procedures and explains the legal processes required in domestic violence cases. Rhode Island Domestic Violence Attorney Elisha Morris is committed to representing hr clients best interests and protecting their legal rights at all times. Elisha L. Morris is an experienced attorney focusing on family law, immigration law and personal injury. Ms. Morris has successfully handled cases involving divorce, custody, child support, and visitation. She is aware that each case requires special attention and is ready to pursue either the amicable settlement or the aggressive court battle. She is well-versed in al areas of divorce, family law and domestic violence. Attorney Morris fights tirelessly on behalf of her clients and does not stop until her clients get what they rightfully deserve. Often times the laws of Rhode Island can be confusing and difficult to understand. In order to fully grasp them, you need to study them. The good news is that our Rhode Island Divorce Lawyer's are some of the top minds in their respective fields and have dedicated themselves to learning them, so you do not have to. 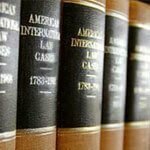 In our legal learning center you will find all sorts of great information curated by our Rhode Island Divorce Lawyer's in easy to read articles. You will also see some of the latest legal news for Providence, Newport, Warwick, and Cranston.